Also available in other sizes and applications such as IBC’s. Manufactured from heavy zinc coated steel and coated with two pack polyurethane gloss finish to ensure many years of trouble free service. 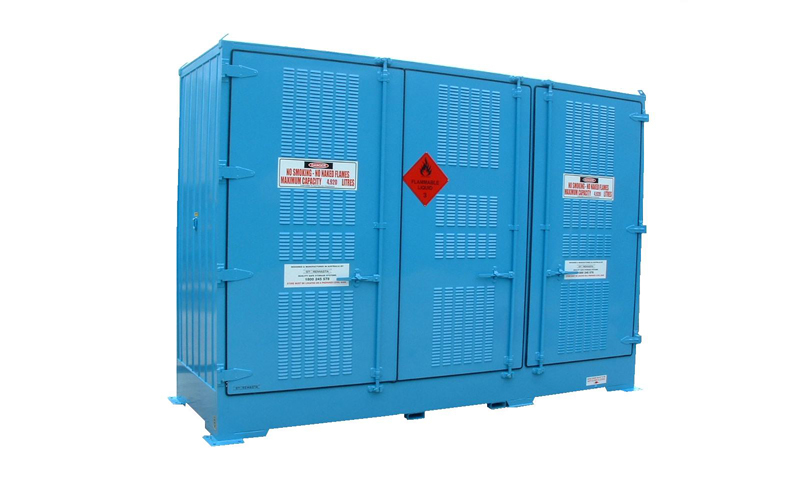 A unique alternative for immediate and safe storage of dangerous goods, without the problems and expenses associated with building fixed stores.